Type 1 - weighting. 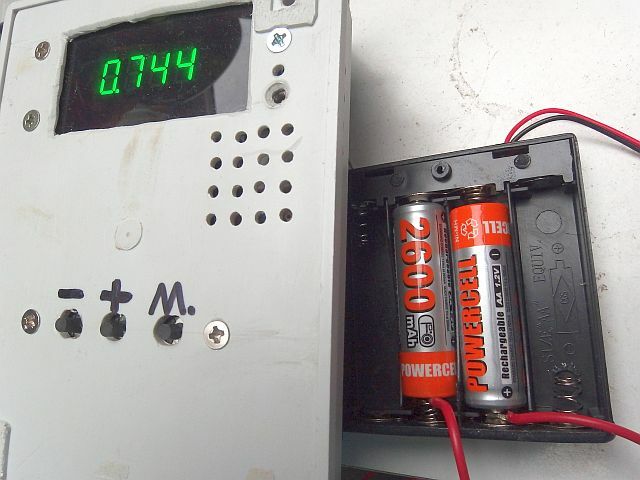 Very cheap no-name NiMH rechargeables. Declares 3000 mAh, I measured 325-380 mAh (!!!). 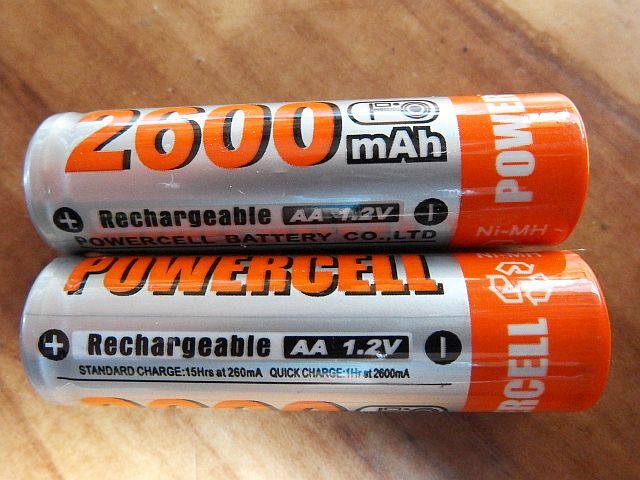 Type 2 - Powercell NiMH 2600 mAh. They look little better, but after measuring only 706 - 764 mAh I recognized it is also no use. 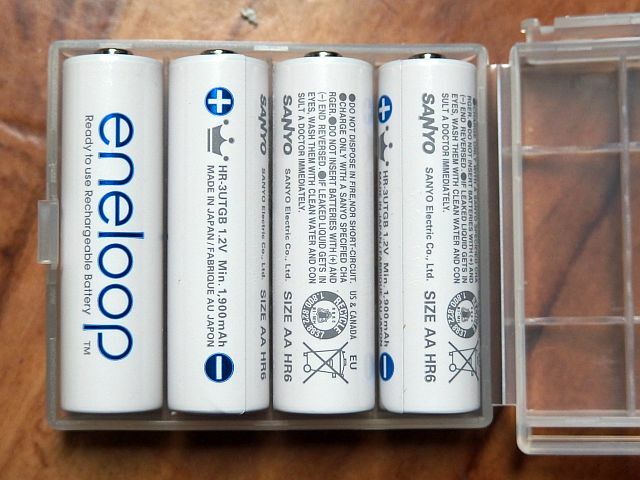 Type 3 - Sanyo Eneloop, Sold as 2000 mAh / 1800 cycles. It is marked "min. 1900 mAh" directly on the battery. Bought in 4pcs box. The manufacturer states that are pre-charged, so the first I test, how much they are pre-charged :). It showed 1315 mAh. After charging in delta peak charger with 360 mA, it showed 1734 mAh. 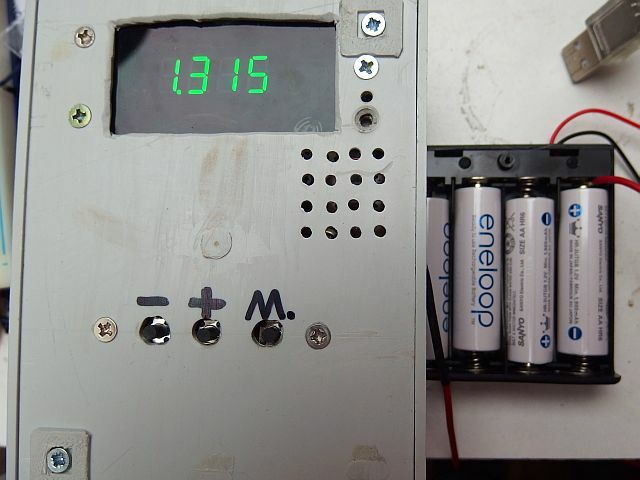 The manufacturer recommends charging current of 200mA for 16h, In these conditions, I measured 1931mAh. This complies with the "min. 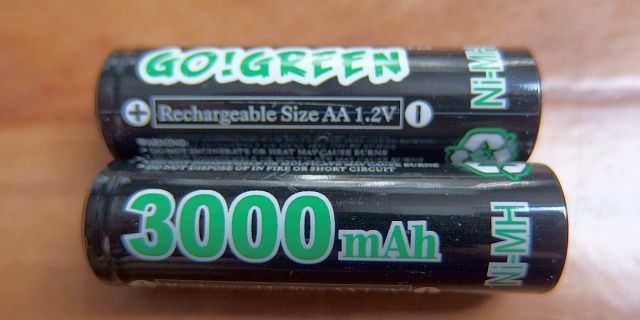 1900mAh" rating. Type 4: NiMH of C.F.L. brand with unbelieveable 3800mAh capacity. Recommends standard charging 380 mA for 14h and fast 900 mA for 2.5 hours. Such capacity in AA battery is a nonsense. Therefore, it is also written "Up to 3800mAh". Anything less therefore meets the specifications :). 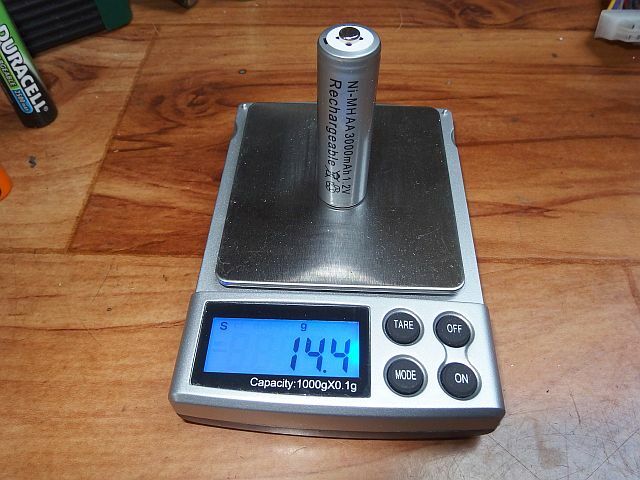 Measured 525mAh capacity is no surprise. Type 5. 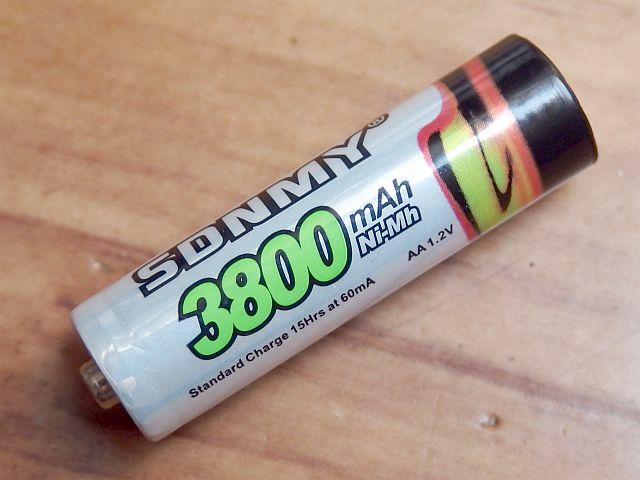 This NiMH batteries from SDNMY (what the hell is that?) Seems to be a real miracle. States 3800mAh capacity, but recommends charging at 60 mA for 15h, therefore, charged capacity is 900mAh. It is therefore a perpetual motion machine with 422% efficiency. :) I would rather say that the recommended charge corresponds to reality. Standard charge are usually 0.1C for 14-16h, so the actual capacity will be 600mAh. This battery is different from the previous by ony in the fact that recommended charging is selected by fact, not by fictional capacity. Type. 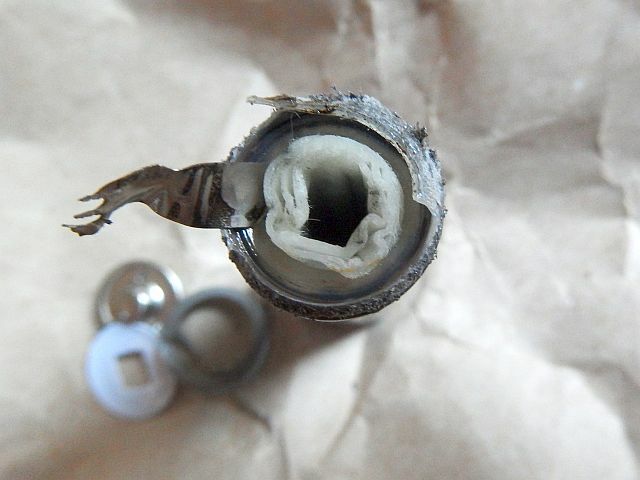 6 - NiMH battery GODP. States 3000mAh, but really has 746mAh (barely a quarter). Type 7 - NiMH Go!Green. States 3000mAh. 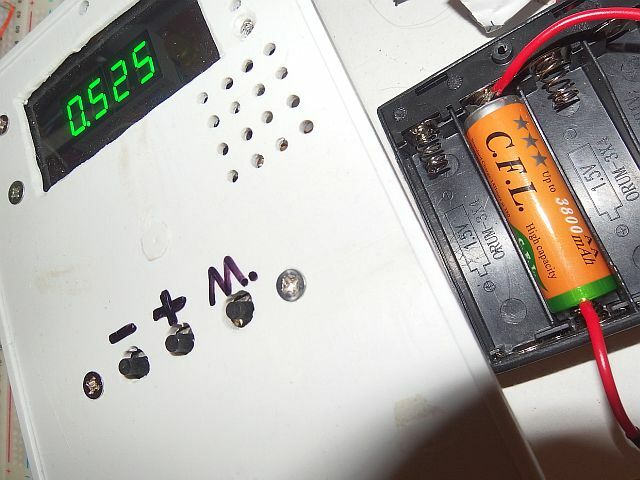 Tested two cells, measured 541 and 633 mAh (cca 20% of the declared, and the cell to cell difference is relatively big). 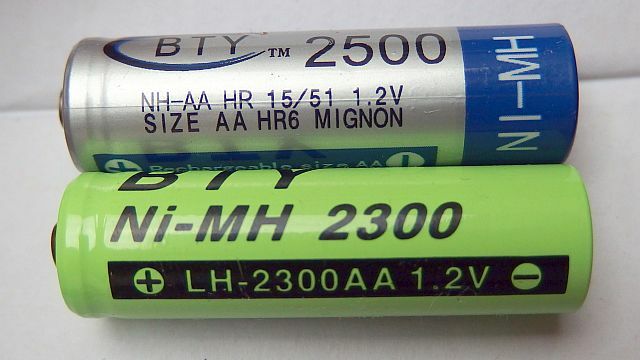 Type 8 and 9 - NiMH batteries BTY. They state 2300mAh and 2500mAh. I measured 239mAh and 169mAh. This is not the worst result so far. Last one has only 6.8% of the declared capacity, so the trash container is the only suitable place for it.